When you have a Dedicated Server or Virtual Private Server (VPS) security issues and optimization of a server is a necessity that must be considered by a sysadmin. 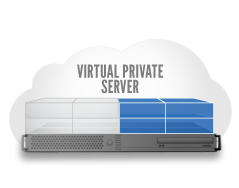 Here I have to say a few ways that can be used to secure and optimize a Dedicate server or Virtual Private Server (VPS). Form mail is used by hackers to send out spam email, by relay and injection methods. Check for root kits and even set a root kit on a cron job. This will show you if anyone has compromised your root. Always update chrootkit to get the latest root kit checker. Hackers and spammers will try to find insecure upload forms on your box and then with injection methods, try to upload the root kit on your server. If he can run it, it will modify many files, possibly causing you to have to reinstall. Note: You can download Putty by Clicking Here (http://www.chiark.greenend.org.uk/~s…/download.html). It’s a clean running application that will not require installation on Windows-boxes. Note 2: You can also create a custome nameserver specifically for your new SSH IP address. Just create one called something like ssh.xyz.com. Be sure to add an A address to your zone file for the new nameserver.